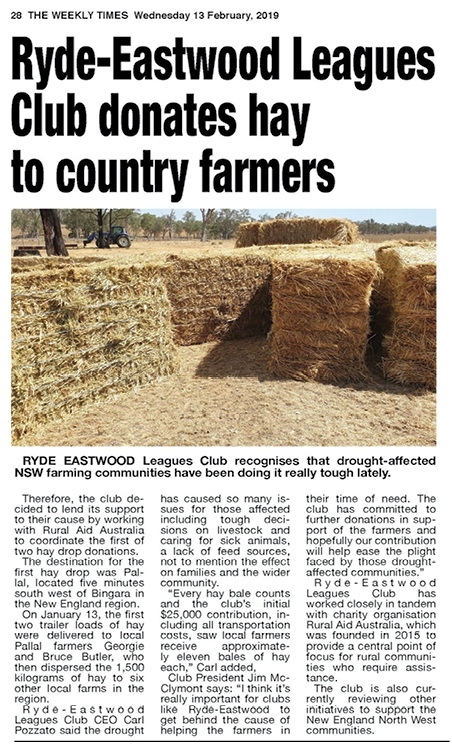 On Sunday 13 January, Ryde-Eastwood Leagues Club made a hay drop to help drought-stricken farming communities in New England's North West. The Weekly Times covered the story with more images of the drop below . . . The photos below indicate the large scale size of the $25,000 Ryde-Eastwood operation. 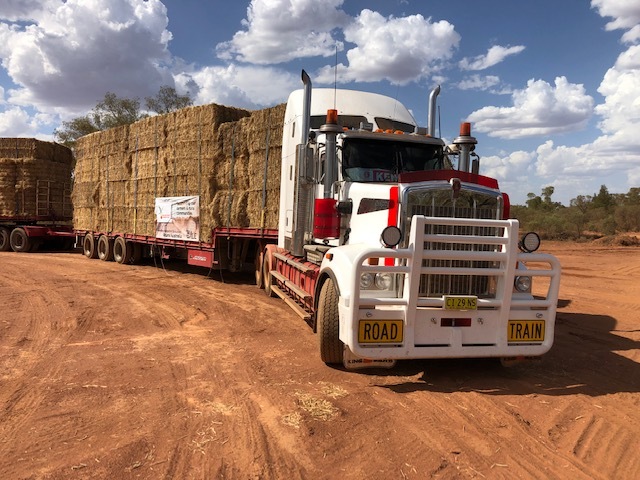 A big thanks goes out to our working partners, Rural Aid, farmers Georgie and Bruce Butler, and to the "Truckies" who delivered the hay. 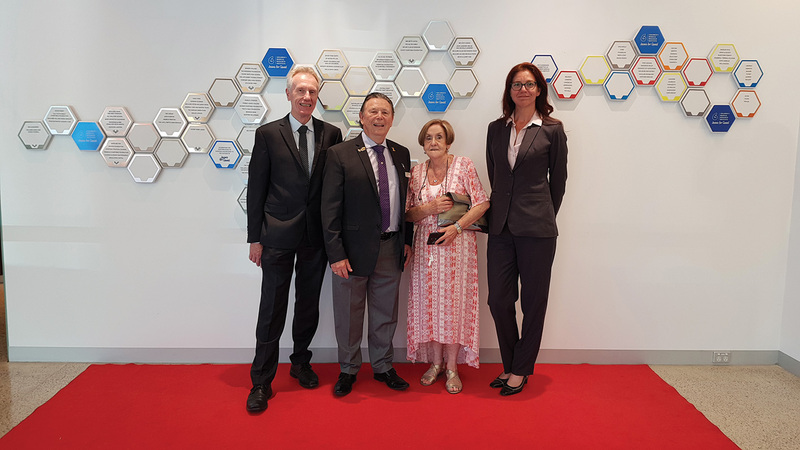 On Friday 30 November, Ryde-Eastwood Leagues Club was honoured for its generous donations over the past 21 years to the Children’s Medical Research Institute (CMRI), by receiving a plaque on the Institute’s honour wall. Pictured above: Club General Manager, Chris McCarthy (Retired), Club President, Jim McClymont, Therese Wells from the Gaming department, who is instrumental in assisting with collections, and the Club’s Human Resources Manager, Joanne Luke, who is the driving force behind organising and collecting donations for the Institute for both the annual RELC Fun Run/Walk, and the annual Jeans for Genes day. 2018 ANNUAL RELC FUN RUN / WALK! 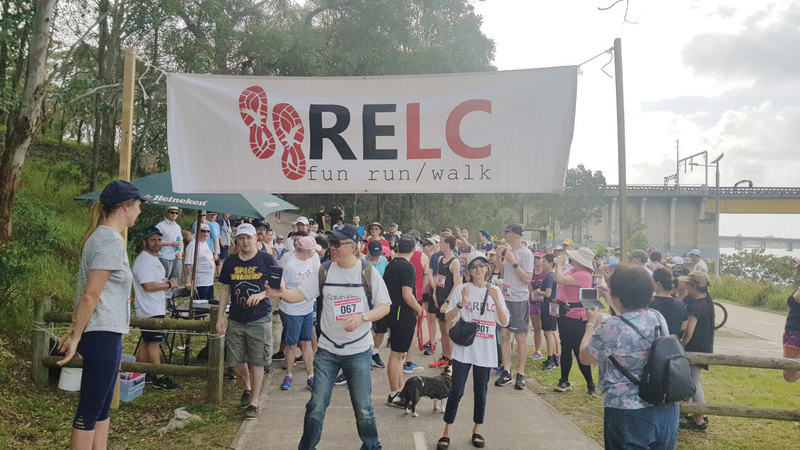 On Sunday 4 November, members of Ryde-Eastwood Leagues Club and The Fitness Edge, along with staff and families, participated in the third annual RELC Fun Run/Walk (participants could either run or walk 5km, 10km, or volunteer). All registrations were donated to our chosen charity – the Children’s Medical Research Institute, together with a generous donation from the Club’s Board. We are very proud to announce that the annual RELC Fun Run/Walk registrations and sponsorship raised just over $5,000 for the Children’s Medical Research Institute, and that Ryde-Eastwood’s Board of Directors matched that donation, taking the grand total to $10,000!! Thank you to each and every participant, volunteer, the Board, our generous sponsors and the wider Ryde-Eastwood family. Bring on 2019’s event - we have a new goal to reach next year! 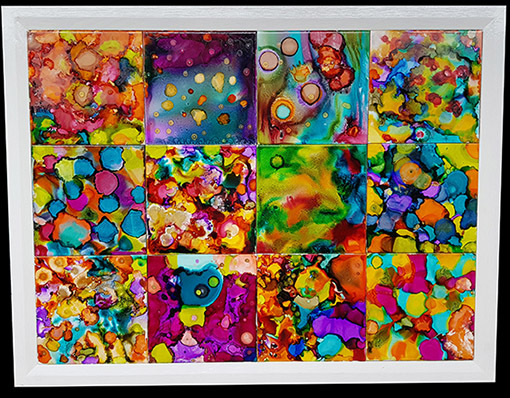 Members and visitors at the Club may have noticed the striking piece of artwork displayed at the bottom of the stairs, near our fish tank. 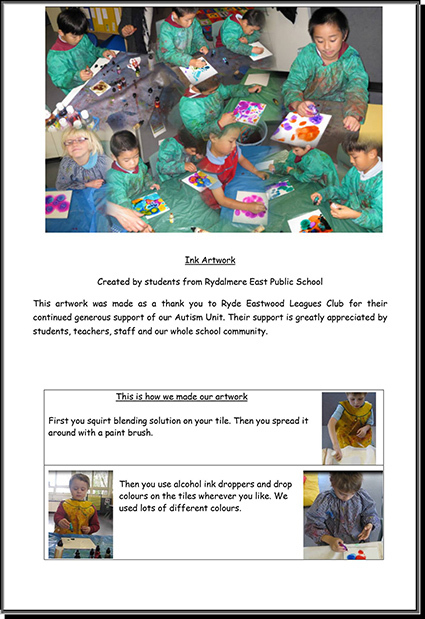 The artwork was made as a thank you to Ryde-Eastwood Leagues Club for its continued support of the Rydalmere East Public School Autism Unit. “Your support is greatly appreciated by students, teachers, staff and our whole school community” - Emma Lodewijks from Rydalmere East Public. The Club really appreciates this gift and looks forward to continuing our support for the unit. Ryde-Eastwood Leagues Club began supporting Genes for Jeans Day way back in 1997. This year club staff kept up its charitable tradition by donating for Genes for Jeans Day Sydney 2018. Every year since 1997, the team’s efforts have raised thousands of dollars to support programmes for The Children's Medical Research Institute to prevent leukemia, muscular dystrophy, genetic defects and many other disorders. Ryde-Eastwood Leagues Club champions the true spirit of the Club Movement with an ongoing dedication to serve its community. Christian Community Aid (CCA) located in Eastwood provide a range of Government funded services to Aged residents living in their own home. Programs include Home Delivered Meals (Meals on Wheels) to suit specific dietary needs and also cater to different cultural needs. CCA also offer a range of social lunch groups run weekly or fortnightly catering to different ethnic groups and provide door-to-door service.